-Arithmetic groups and homogeneous manifolds. -Contact manifolds and symplectic manifolds. The world around us is not a domain of only uniform beings and unequivocal situations. The multi-dimensional and unpredictable world is a result of simultaneous actions of endless interactions taking place between time and space. By influencing and intermingling with each other, they change - sometimes unnoticeably - the course of events, eventually often leading to solutions and objectives that are other than previously assumed. The reality around us is not taking place by itself and is not separate from its context. Only at the interface of all dimensions of civilization and nature the real dimension of the world around us is born and the entire being takes shape. Wyszehradzki Program Stypendialny jest specjalnym programem utworzonym przez Fundusz Wyszehradzki w celu ułatwienia wymiany studenckiej poprzez zapewnienie wsparcia finansowego kandydatom, którzy są mieszkańcami państw V4 (Czechy, Węgry, Polska, Słowacja) lub mieszkańcami państw, nienależących do Unii Europejskiej (Białoruś, Chorwacja, Mołdawia, Rumunia, Federacja Rosyjska, Serbia i Czarnogóra) i pragną studiować w państwach V4. 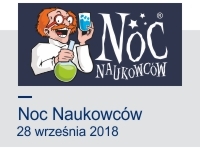 GIS School for Naturalists - students and graduates of natural sciences take part in four-day (in June of each year) field survey and computer workshops in the Jeziory Ecological Station (near Trzemeszno (Poland)). They have a possibility to learn how to map different environmental resources (plants, animals, land cover) based on Geographical Information Systems (GIS). 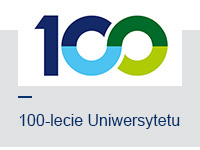 Summer School of Polish Language and Culture is organized by Adam Mickiewicz University, Poznań. The author of the curriculum is prof. dr hab. Irena Sarnowska-Giefing. Every year brings dozens of individuals coming from all over the world, even as distant countries as Japan or the United States. The School's curriculum covers classes which include: Polish language course, lectures, workshops and language consultancies for beginners. The intensive Polish language course is carried within the time of 4-6 hours per day and its classes are arranged due to the language level of learners. 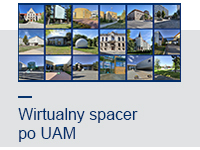 The School will take place from 1 to 17 August, 2018. The exact location where SMTB 2018 will take place will be announced once it is determined, but it will be at a research institution in the EU that will provide comfortable living conditions and work environment. The deadline for the applications is January 15, 2018. We are pleased to invite you to attend the 5 th Scientific Symposium "Ecosystem services in transdisciplinary approach" - ECOSERV 2018. The Symposium will be focused on European experiences, including the methods, tools, models and implementation of ecosystems services (ES). ECOSERV 2018 will be an opportunity to present and discuss current international initiatives on ecosystem services approach, such as the European Union Working Group on Mapping and Assessment on Ecosystems and their Services (MAES), the pan-European project ESMERALDA, and Ecosystem Services Partnership (ESP) network. Prof. Dr Benjamin Burkhard from Leibniz Universität Hannover as the Special Guest will present the progress in methodology and implementation of ecosystem services approach in Europe. 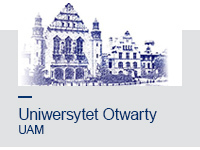 The conference is organized by the Institute of Acoustics, at the Adam Mickiewicz University in Poznań. The purpose of the conference is for acoustic researchers to meet and exchange their experience, especially with regard to the subjective evaluation of sounds. The leading topic of the conference will be sound perception, focusing on areas such as: psychoacoustics, diagnostics and hearing rehabilitation, environmental acoustics, and architectural acoustics. 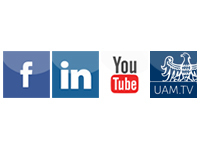 The conference also aims to develop cooperation with the socio-economic environment. 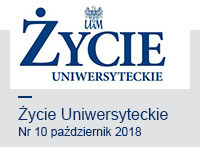 On behalf of the organizers, namely the Centre for Research and European Education, Faculty of Political Science and Journalism at Adam Mickiewicz University in Poznań and Collegium Polonicum in Słubice, we would like to extend an invitation to participate in an international conference devoted to European issues. 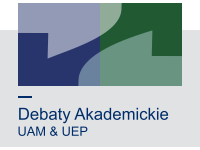 The conference participants will involve scholars representing academic and research centers in Poland and abroad, journalists, politicians and other experts interested in European integration. We are pleased to invite you to attend the 5th Scientific Symposium "Ecosystem services in transdisciplinary approach" - ECOSERV 2018. The Symposium will be focused on European experiences, including the methods, tools, models and implementation of ecosystems services (ES). ECOSERV 2018 will be an opportunity to present and discuss current international initiatives on ecosystem services approach, such as the European Union Working Group on Mapping and Assessment on Ecosystems and their Services (MAES), the pan-European project ESMERALDA, and Ecosystem Services Partnership (ESP) network. Prof. Dr Benjamin Burkhard from Leibniz Universität Hannover as the Special Guest will present the progress in methodology and implementation of ecosystem services approach in Europe.